Is he a good guy or a bad guy? ‘Frank’ shows up on English coast one day, with only the clothes on his back, no memory of who he is or how he got there. A woman named Alice finds him and takes him in, much to the chagrin of her family and closest friend. Miles away in London, Lilly an Ukrainian immigrant reports her newlywed husband is missing. Knowing no one, she has to figure out who she can trust to learn what happened to him. Decades earlier, a family goes on a seaside vacation in a small coastal community with unforeseen results. These three separate plot lines comprise the story of I Found You. A slow build up leads to an explosive explanation about how the three distinct tales intersect and provide all the answers. Jewell effortlessly takes the reader back and forth, from present day to 1993. She paints descriptive pictures of each character, allowing for a full image to form and opinions to emerge. As the book unfolds, the two male characters are introduced, and one is likable while the other is not. With the story bouncing back and forth from the past to the present, and ‘Frank’s’ identity slowly forming shape, the reader is left to guess which of the two men he really is. Highly recommend this suspenseful novel. My book club is going to read it, and I can’t wait to hear their opinions. 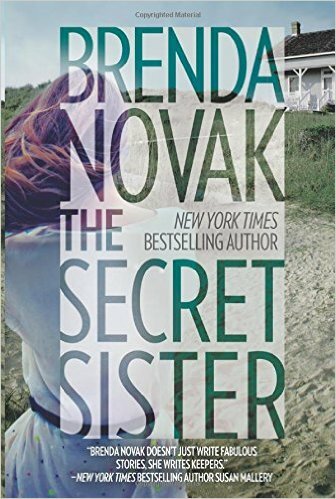 This is the first book I read by Brenda Novak, but it will not be the last. Novak presents a complex story of familial relationships gone sour. Maisey is the youngest daughter of a very cold, domineering mother and a more easygoing father. Unfortunately, he passed away when Maisey was just a girl, and her mother did not seem to make any effort to show extra affection towards her or her older brother. As a result, when Maisey is an adult she leaves home, intent on never returning. However, life had other plans and Maisey finds herself returning to the family homestead, beaten down by upsetting circumstances, primarily the death of an infant daughter, a divorce from an unfaithful husband, the inability to do her work, and the unsuccessful suicide attempt by her brother, Keith. Upon her return, Maisey faces her past and her future with a clarity previously unseen. She begins to mend the relationship with her mother, helps her brother figure out his demons, while rediscovering her motivations and purpose. Along the way, she gets reinvolved with a man, Rafe, she knew more than ten years earlier. I liked many aspects of this story. There is the mystery of whether or not Maisey and Keith had an older sister, the dynamics of her immediate family’s influence and interaction, and the budding romance with Rafe. The pace is quick, though the plot is slower. The first portion of the book is largely devoted to setting up the different events of the relationships of the main character. As a result, the plot takes a while to move to the title point. However, once Novak introduces this point, it goes very fast, and ends with a great conclusion. I really felt for all the main characters, as each had to overcome different trauma in order to move forward. I have already recommended the book to friends, as I think they will enjoy the story. Another reviewer stated this book is the first in a new series, and I hope that is true. I would enjoy revisiting Maisey, while learning more about other characters on the island where she lives. Have you ever wondered about parallel lives? Is it true that we could be living different versions of the same life, at the same time? These books explore what happens when there is a trauma, and as a result, the main character steps out of her daily life and into an alternative one. Ultimately, each time, she has to decide which life is true and which one is where she belongs. See if you can identify with the title character in any of these. The Bookseller (2015) by Cynthia Swanson introduces us to a woman living two lives, and she does not know which is real and which is her dream life. The book starts out in one life and introduces a dream world, only to have them intersect, cross over and ultimately collide. The reader does not know which world is real and which is not, until the very end. Takes place in the 1960’s, which adds another dimension to the story. Then and Always (2014) by Dani Atkins documents the life of a young woman who faces tragedy and lives to tell the tale after a bad accident. Her life is stuck though and after another incident sends her to the hospital, she finds herself living a life she does not recall. Yet she does not have amnesia. She does not know which life is true and neither do we. The ending is bittersweet, yet also fitting for the story. The Lost (2014) by Sarah Beth Durst finds main character Lauren discovering a world that does not make sense, while she comes to terms with having a terminally ill mother. She faces adversity while living in a town only known as Lost and has to learn how to take care of herself, for the first time in her life. Only then, will she be able to return home. First in a trilogy, The Lost ends in a cliffhanger; the Missing follows in Fall 2015, and I am looking forward to reading it. Cecilia Ahern’s There’s No Place Like Here (2009) explores what happened to someone who disappears without a trace. Where could the person have gone? Sandy spends her life finding missing people, objects, etc. until one day, she too, goes missing and winds up in a land filled with everything and everyone we have lost at one point in our lives (socks, baby blankets, baseballs, as well as people and pets). At first, I thought The Lost and this book had very similar plots, but they do have enough different aspects to make them both good reads. About 10 times a year, my friends and I get together over a small meal, maybe some wine, always dessert, to discuss our latest book. Though we may stray from our topic, these gatherings have proven to be an excellent source of friendship and support. We each pick a book to read, and though everyone is not in agreement on whether or not we liked it, we all believe in the power of a good book. The majority of our selections are general fiction or suspenseful thrillers, though we will throw in a classic or memoir to shake it up a bit. In no particular order, here are some of our selections over the past few years as well as through the next few months. A (*) means the majority liked it;, a (~) had mixed reviews and a (?) means it is still to be read.